My family has gone on quite a few adventure trips with several different companies and I have never been more impressed with a travel company than Tusker. Trip organization, Tusker staff, quality of equipment and food were all outstanding. But what I was most impressed with was the care that was taken in keeping everyone in our group safe and healthy. Our family had an experience several years ago on a trek in Peru that made me very respectful of high altitude climbs and dissuaded me from considering a Kilimanjaro climb for many years. One person in our Peru group (a very fit man in his mid 20’s) developed high altitude pulmonary edema when we reached a 15,000 foot pass several days into our trip. By the time we saw him at the top of the pass, he was shivering, had difficulty breathing, his lips were blue and he was obviously hypothermic. Our head guide also experienced altitude illness and was limited in his ability to help the man or anyone else in the group. It was frightening to be at 15,000 feet with one person in our group very ill and our head guide also ill. It was also very cold and wet and others in our group were becoming hypothermic while trying to help the man who was ill.
Once we reached our inn and the guide finally had access to a pulse oximeter and checked the man’s O2 sat, it was clear that he needed to go down immediately. My husband who is a physician, volunteered to accompany our head guide to evacuate the man because he was so sick. In retrospect, I saw that there were many signs that this man was in trouble well before he was eventually evacuated. 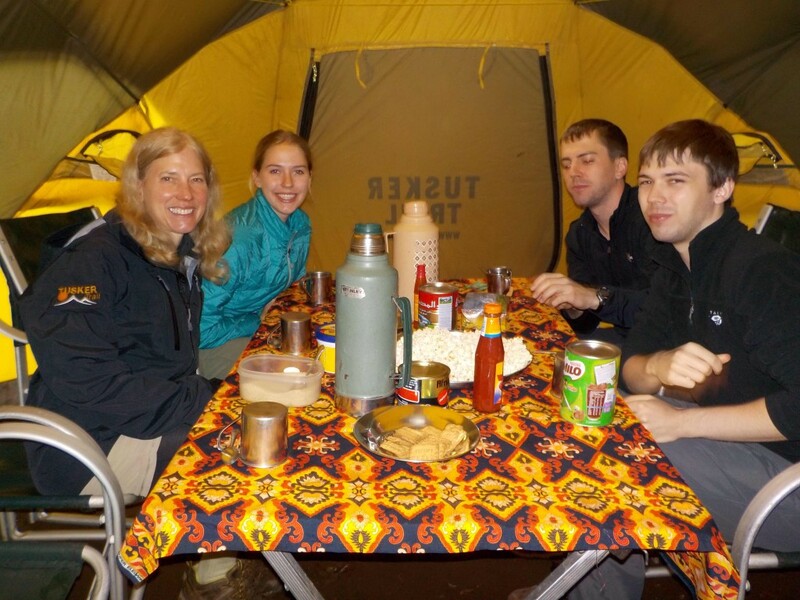 However, Kilimanjaro kept coming up on the top of our bucket lists. I spent many, many hours combing through review books and online reviews and researching travel companies for our trip before selecting Tusker. I don’t think we would have made the trip if I had not found a company that I felt would take as many safety precautions as possible to keep our family safe. Our Kilimanjaro climb turned out to be the trip of a lifetime and I just can’t say enough good things about our entire Tusker team! Our head guide Francis Meela was very much in charge and made sure that everything went smoothly. Shabani Hassan, our assistant guide, was just a delight with a smile that always lit up the room! 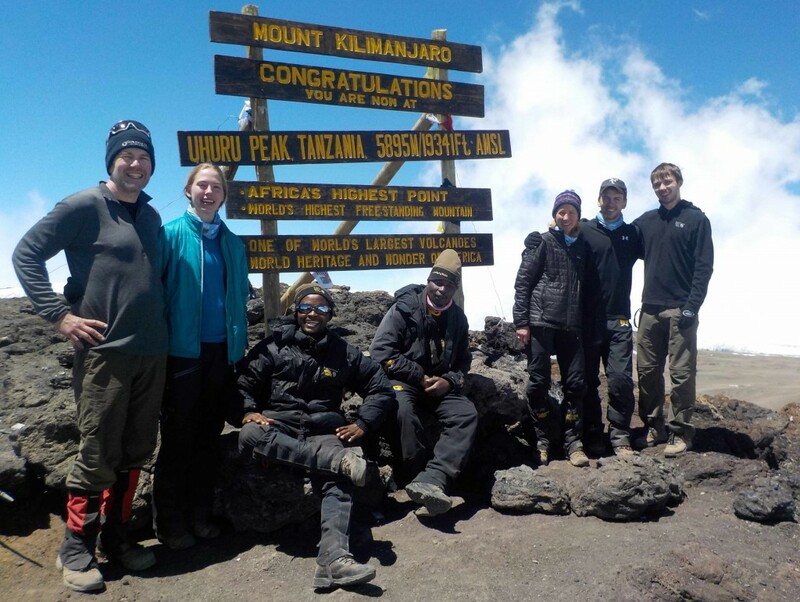 As medical professionals (myself as RN, my husband a physician and my oldest son, a medical student), we were extremely impressed with the close, careful and intensive monitoring of our tolerance to the altitude provided by Francis and Shabani. The food on the trip was outstanding! Alex Minja was an excellent cook. I was also extremely impressed with the obvious care taken in the food preparation since none of us experienced significant GI illness. 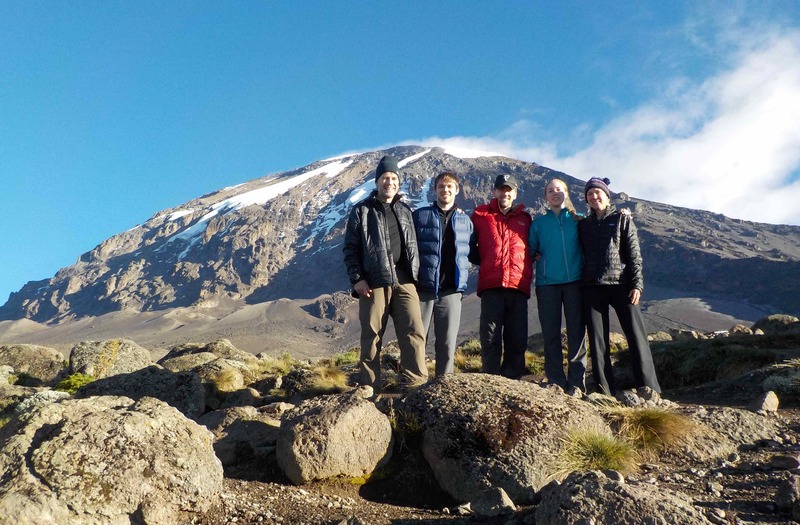 This particularly impressed me since we have friends who attempted to climb Kilimanjaro with another touring company several years ago, when 12 out of 15 climbers had serious GI problems, and 1 person developed pulmonary edema. The highest compliment I can give is that I was able to relax on our Kilimanjaro trip due to my complete confidence in our Tusker team keeping everyone safe. In contrast to our experience in Peru, I was extremely impressed with the care taken and the knowledge of the guides in watching us all so closely and making sure we were tolerating the altitude. I was able to fully enjoy an amazing trip to one of the most beautiful and special places I have ever traveled.